Indonesia is the third largest producer of cacao beans in the world, but until recently, most of the chocolate here has been brought by bigger companies who add sugar and palm oil so they can mass market it. 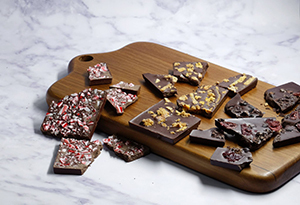 Luckily a few smaller, boutique chocolatiers have moved onto the scene and devoted themselves to the act of making the type of chocolate that it brings us great pleasure to tell you about. The places to go are in a short list at the bottom of the page, but first, you should know that the trick to making chocolate is budgeting for the time it requires for the fermentation process to take place. We live in a fast food culture, so this is harder than you would think, but if you seek out the farmers and artisans who are willing to spend the time (and money) waiting for this delicious treat to age properly, then you’re likely to find yourself on the trail of some world class chocolate. 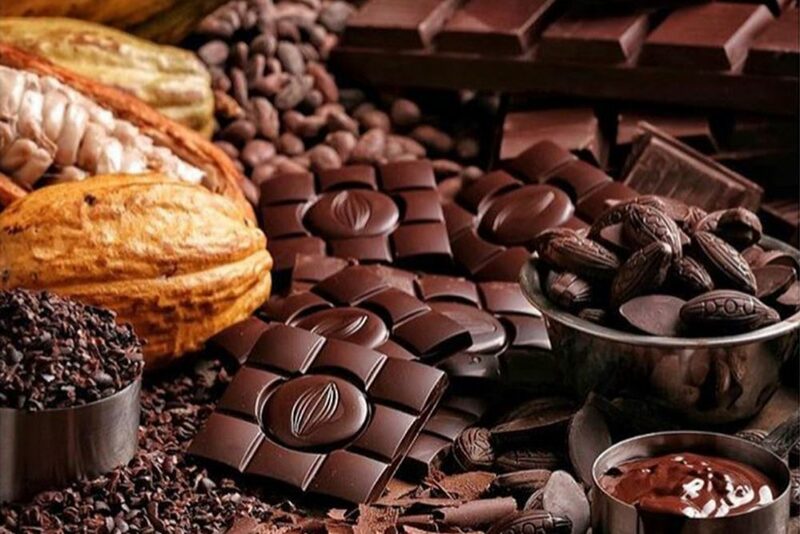 If you’re a serious chocolate fan, then the list below is for you, it contains the best chocolate makers on the island. 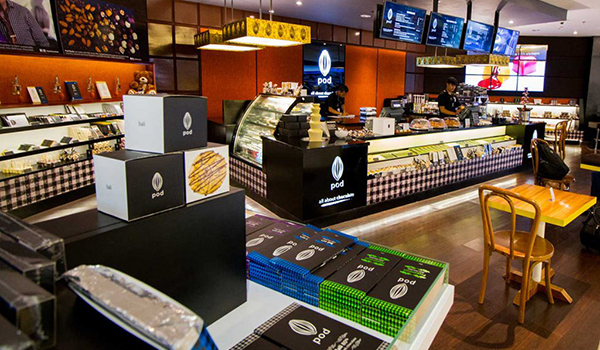 Chocolatiers are artists and Bali is fast becoming the home of some of the most premier chocolate production on earth. Note: Most of the cocoa plantations and chocolate factories we mention are half a day away by car, so we recommend booking an incredible villa in the South. Then you can turn your chocolate mission into a combined adventure before you head back home to relax in comfort by the pool of your holiday escape. 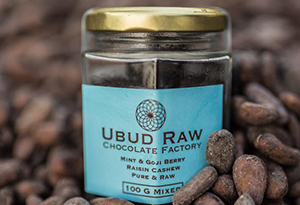 It’s impossible to make purely raw chocolate as cacao butter is extracted using heat, and the coconut sugar must be boiled for days to produce a solid base, BUT the Ubud Raw Chocolate Factory has created the next best thing. Their chocolate is dairy free, and you’ll find it infused with all sorts of goodies for you and your vegan friends. 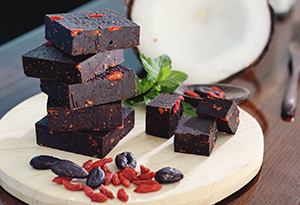 Think goji berries, mint and nuts galore. They also have a shop so you can bring some home with you. Ubud Raw Chocolate Factory store, Jl. Raya Sayan 74 and Jl. Goutama 8 in Ubud. Contact: +62 361 975 79. Open Monday to Saturday from 10 am to 7 pm. They are closed on Sundays. 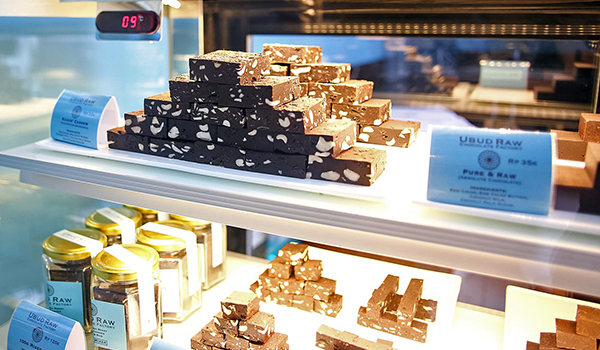 Fermenting, drying, roasting, winnowing, tempering, flavouring, and moulding are the critical steps to making chocolate and POD are perhaps the island’s experts. They offer a fantastic factory tour where you can see the chocolate being made at the source of where the cacao plants grow. 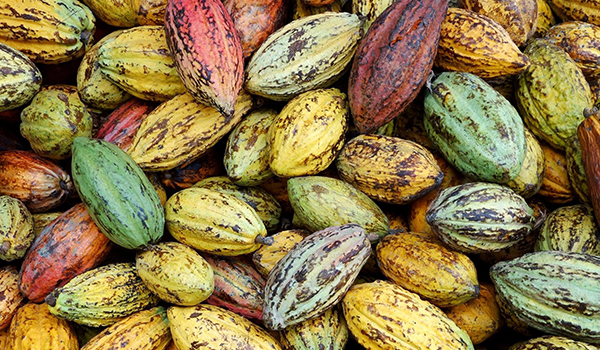 They run an utterly sustainable operation and are proud to pay local workers top price for cacao plants that could otherwise have been cut down. 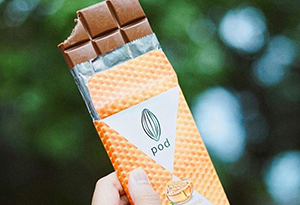 We recommend taking the day trip to their Bedugal HQ where you can try POD’s Bali Chilli flavoured chocolate. Yum! 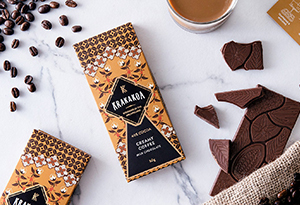 Krakakoa was founded in Sumatra then the business was moved to Bali so the South African owner could continue to work closely with local farmers. 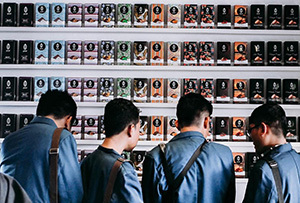 They struggled at first with pests, but ended up becoming the most highly awarded chocolatiers in Bali with six medals from the 2017 Academy of Chocolate awards in London. Krakakoa was judged against some of the best chocolate in the world so who are we to argue with the judges! You can pick up the goodies at their lovely shop in Seminyak. They’re not vegan, and they specialise in dark chocolates with delicious flavours like coffee and sea salt that you won’t be able to get enough of. If you’re coming to Bali and you’ve got a sweet tooth, then chocolate hunting is the best remedy. If you’re just coming to rest and relax after a tough time at work, then we’ve also got you covered. Putting chocolate aside for a moment, we have a range of stunning villas in the Bali area that are ready to welcome you now. Click here to see pictures of them and enjoy your Bali holiday.